Below is the proposal presentation, followed by the reseach references. Alfonso, S., & Henderson, B. A. (2016). Implementing the project approach in an inclusive classroom: A teacher’s first attempt with Project-Based Learning. Voices of Practitioners: Teacher Research in Early Childhood Education, 11(1), 52-59. Blumenfeld, P. C., Soloway, E., Marx, R. W., Krajcik, J. S., Guzdial, M., & Palincsar, A. (1991). Motivating Project-Based Learning: Sustaining the doing, supporting the learning. Educational Psychologist, 26(3), 369-398. Bradstreet, S. (2017, August 04). The nine APUSH historical thinking skills. Retrieved November 12, 2017, from https://magoosh.com/hs/apush/2017/9-apush-historical-thinking-skills/. Breakstone, J. (2014). Try, try, try again: The process of designing new history assessments. Theory & Research in Social Education, 42(4), 453-485. doi:10.1080/00933104.2014.965860. Brush, T., & Saye, J. (2014). An instructional model to support problem-based historical inquiry: The persistent issues in history network. Interdisciplinary Journal of Problem-Based Learning, 8(1), 39-50. doi:10.7771/1541-5015.1409. Cash, C. E. (2017). 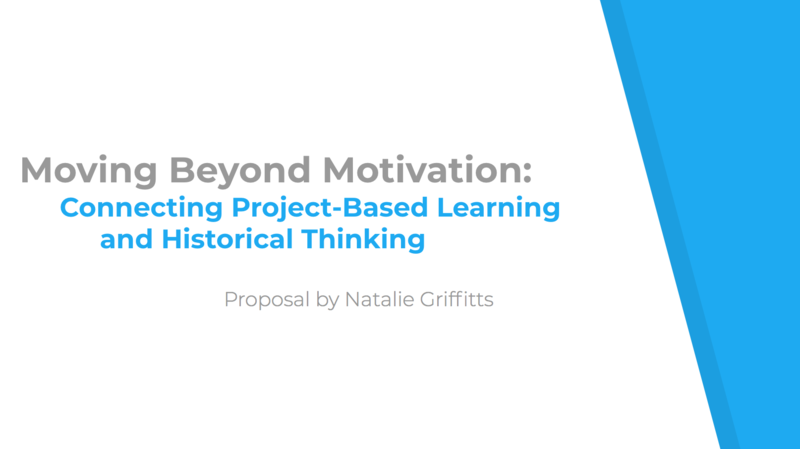 The impact of project-based learning on critical thinking in a united states history classroom (Order No. 10259935). Available from ProQuest Dissertations & Theses Global. (1927181990). David, J. L. (2008). What research says about… Project-Based Learning. Educational Leadership, 65(5), 80-82. Deci, E. L., & Ryan, R. M. (1987). The support of autonomy and the control of behavior. Journal of Personality and Social Psychology, 53, 1024-1037. De La Paz, S., & Hernández-Ramos, P. (2013). Technology-enhanced Project-Based Learning: Effects on historical thinking. Journal of Special Education Technology, 28(4), 1-14. Dunlap, J., Dobrovolny, J., Young D. (2008). Preparing e-learning designers using Kolb’s model of experiential learning. Journal of Online Education, 5(2),1-9. Efstratia, D. (2014). Experiential education through Project Based Learning. Procedia – Social and Behavioral Sciences, 152, 1256-1260. Ferretti, R. P., MacArthur, C. D., & Okolo, C. M. (2001). Teaching for historical understanding in inclusive classrooms. Learning Disability Quarterly, 24(1), 59-71. Frost, J. (2012). Using “master narratives” to teach history: The case of the Civil Rights Movement. History Teacher, 45(3), 437-446. Grant, M. M. (2011). Learning, beliefs, and products: Students’ perspectives with Project-Based Learning. Interdisciplinary Journal of Problem-Based Learning, 5(2), 37-69. Helm, J. H., & Katz, L. G. (2011). Young investigators: the project approach in the early years (2nd ed.). New York, NY: Teachers College Press. Hernández-Ramos, P., & De La Paz, S. (2009). Learning history in middle school by designing multimedia in a Project-Based Learning experience. Journal of Research on Technology in Education, 42(2), 151-173. Hung, W. (2016). All PBL starts here: The problem. Interdisciplinary Journal of Problem-Based Learning, 10(2), 2-10. doi:10.7771/1541-5015.1604. Kızkapan, O., & Bektaş, O. (2017). The effect of Project Based Learning on seventh grade students’ academic achievement. International Journal of Instruction, 10(1), 37-54. Kucan, L., Cho, B., & Han, H. (2017). Introducing the historical thinking practice of contextualizing to middle school students. The Social Studies, 108(5), 210-218. Larmer, J. (2015). Project-Based Learning vs. Problem-Based Learning vs. x-bl. Retrieved November 12, 2017, from https://www.edutopia.org/blog/pbl-vs-pbl-vs-xbl-john-larmer. Lepper, M. R. (1988). Motivational considerations in the study of instruction. Cognition and Instruction, 5, 289-309. Lo, J. C. (2015). Developing participation through simulations: A multi-level analysis of situational interest on students’ commitment to vote. Journal of Social Studies Research, 39(4), 243-254. doi:10.1016/j.jssr.2015.06.008. Martin, D., & Wineburg, S. (2008). Seeing thinking on the web. History Teacher, 41(3), 305-319. Mertler, C. A. (2014). Action research: improving schools and empowering educators (4th ed.). Thousand Oaks, CA: SAGE Publications. Nargund-Joshi, V., & Bragg, J. (2017). The stories of inventions: An interdisciplinary, project-based unit for U.S. history students. The Science Teacher, 84(5), 44-50. Obenchain, K. M., Orr, A., & Davis, S. H. (2011). The past as a puzzle: How essential questions can piece together a meaningful investigation of history. Social Studies, 102(5), 190-199. doi:10.1080/00377996.2010.543193. Perin, D. (2011). Facilitating student learning through contextualization: A review of evidence. Community College Review, 39(3), 268-295. doi:10.1177/0091552111416227. Svihla, V., & Reeve, R. (2016). Facilitating problem framing in Project-Based Learning. Interdisciplinary Journal of Problem-Based Learning, 10(2), 113-130. doi:10.7771/1541-5015.1603. Van Straaten, D., Wilschut, A., & Oostdam, R. (2016). Making history relevant to students by connecting past, present and future: A framework for research. Journal of Curriculum Studies, 48(4), 479-502. doi:10.1080/00220272.2015.1089938. Viator, M. G. (2012). Developing historical thinking through questions. Social Studies, 103(5), 198-200. doi:10.1080/00377996.2011.606438. Wynn Sr., C. T., & Okie, W. T. (2017). Problem-Based Learning and the training of secondary social studies teachers: A case study of candidate perceptions during their field experience. International Journal for the Scholarship of Teaching & Learning, 11(2), 1-14. doi:10.20429/ijsotl.2017.110216. 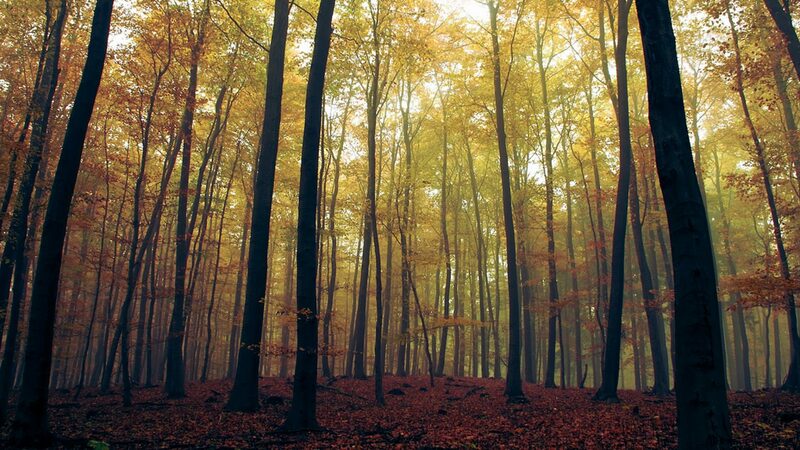 All images were used for academic and educational purposes or created by myself. Full citations provide as appropriate.